These versatile counter top contact grills are ideal for a wide range of toasted and grilled snacks. Practical – upper element control, spring loaded height settings and removable stainless steel crumb/drip tray for easy cleaning. 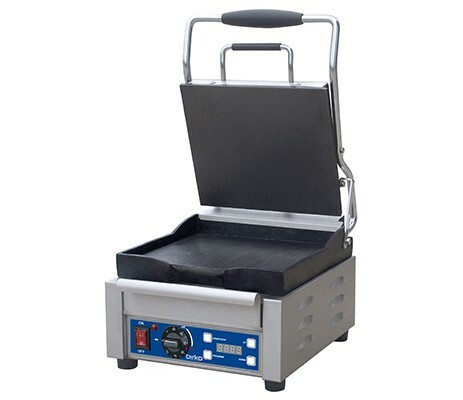 Operates between 60 and 300 degrees.